2018 Global Communications Report finds that the trend towards branded content is an increasingly important ethical issue for PR industry. LOS ANGELES — Almost two-thirds (64%) of public relations professionals surveyed for this year’s Global Communications Report predict that in five years the average consumer will not be able to distinguish between news stories written by journalists and promotional content purchased by an organization. And almost as many (59%) believe the average person will not care if they can tell the difference between the two. While consumers are unconcerned about the blurring line between paid and earned content, practitioners are worried: 42% believe the trend toward “branded content” is a potential ethical issue. An even greater number (52%) are concerned about the related, fast-growing practice of paying celebrities, YouTubers or Instagrammers to create content that promotes various products and brands. The report also highlighted some of the other ethical challenges facing the industry. The vast majority (92%) of professionals cited “fake news” as the most challenging ethical threat, followed by the purposeful distortion of the truth (91%). Defense of malicious behavior (88%) and lack of corporate transparency (81%) are also high on the list of potential ethical issues confronting communicators. Despite these troubling issues, 46% believe that businesses in their countries have become more ethical over the past five years and 62% predict that business will behave even more ethically over the next five years. The same development applies to their own industry: 61% say PR will operate more ethically in the future. Even though 55% of public relations executives cite working for controversial clients as a potential ethical issue, 82% believe that all individuals, organizations and governments have the right to PR counsel. 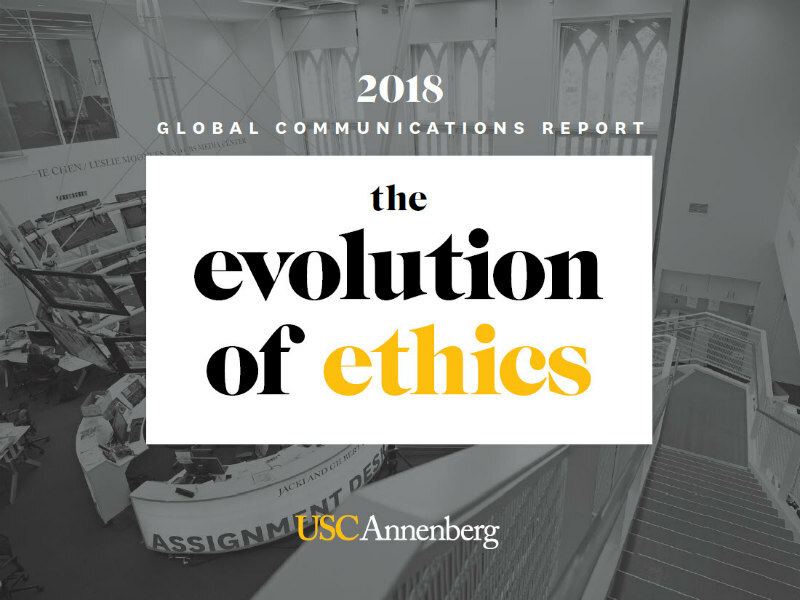 However, 95% of those same communicators state they personally would not represent or work for certain organizations, individuals or governments due to ethical concerns. Tobacco (79%) and firearms (74%) top the list of industries they believe represent potential ethical issues. Representing political candidates is not far behind at 60%.